Cervical cancer is the fourth most common cancer and the fourth leading cause of cancer death among women world-wide. Screening for the detection of cervical cancer and pre-cancer has reduced the incidence and mortality rate of this cancer type. The Cervex-Brush® is the most widely used method for cervical cancer screening. A high quality examination is one of the important elements that determines efficacy of screening. The Cervex-Brush® was developed by Rovers® Medical Devices, in collaboration with women and physicians. Rovers’ specialists have experience in the development of medical devices for gynaecological examinations for over 20 years. The Cervex-Brush® enables simultaneous collection of ectocervical, endocervical and transformation-zone cells with a single device. The brush is made up of well-defined semi-circular soft, flexible hairs for the optimal sample collection. 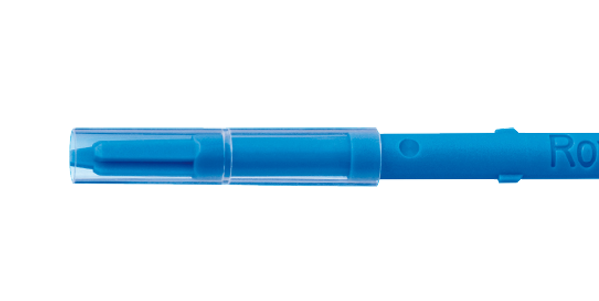 The Cervex-Brush® can be used for HPV testing, conventional cytology and liquid-based cytology. The hydrophobic material of the brush facilitates the release of the cell material into the fluid or on to a glass slide. Sweeps the portio and reaches well beyond the transformation-zone into the cervical canal for a rich cell yield. Avoids bleeding and pain which are normally associated with rigid spatulas and less considerate endocervical devices. The Rovers® Cervex-Brush® can be used for liquid-based as well as conventional cytology. The hydrophobic material of the brush facilitates the release of the cell material into the fluid. Kremer WW et al 2018: J. Int. Aids Soc. Uijterwaal MH, 2016: Gynecol. Oncol. Maleki A et al. 2015: Asian Pac J Cancer Prev. Ferris DG, et al. 1992: J Fam Pract.